How can we empower women and girls worldwide? 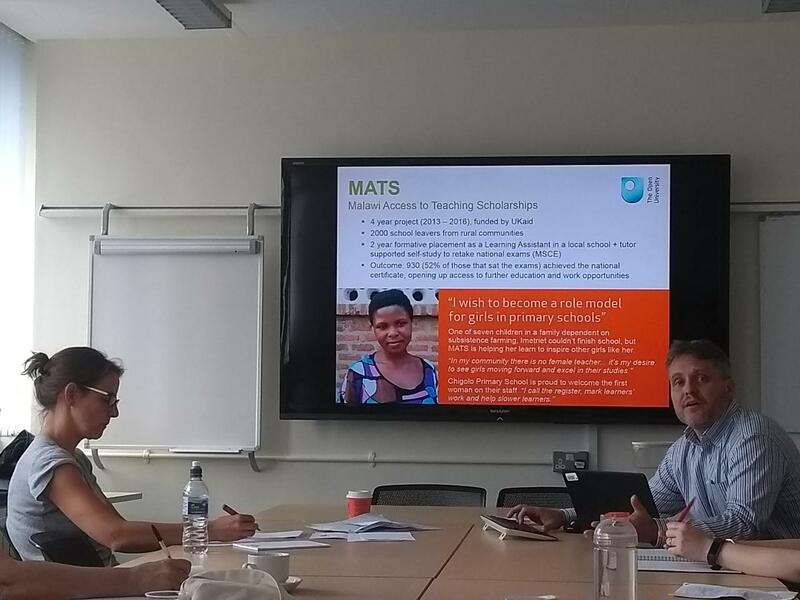 Last month, The Open University (OU) held a workshop to discuss the challenges facing women and girls around the world, and also the hurdles faced by researchers wanting to address these challenges. The need for a gender agenda in poverty alleviation programmes, because the assumption that economic growth alleviates gender inequalities is flawed and decades of evidence confirm gender issues are separate from poverty issues. The normative idea of what constitutes agency, how it is different from empowerment, and what are the risks associated with having changes of agency of women and girls as the ultimate outcome, especially when not included in a wider environment which emphasises contextual relational aspects in which women and girls are inserted. We also discussed what power and empowerment means, and how it means different things for men and for women, and changes with age, race and class. Looking at “bottom up” and “top down” approaches to women and girls’ problems, and whether there could be synergies between the two approaches, specifically about whether bottom-up initiatives could benefit from a conceptual framework. Elements of the design of programmes which in certain contexts, have proved to influence the running of the projects and their outcomes; these included activist groups, gender groups, engaging the communities via, for example, a circle of practice, gender-monitoring and communications strategies, programme groups to support change, accountability strategies, carefully thought through and relevant language, engaging with institutionalised stakeholders and agents of policy change. Monitoring and evaluation strategies which oversee the procedural change of the programme, and not just the results and outcomes, but several challenges hinder this route: the way in which monitoring and evaluation is done and the way it is conceptualised needs global acceptance and is path-dependent; the creation of gender indicators and its inclusion in the SDGs is a step forward, but capacity of national and local statistical offices is low in most countries; primary data is the main source of reliable information, but it is a weaker source of evidence in political terms, and in terms of advocacy, and its collection is done by NGOs and organisations with their own accountability systems and priorities. Creating an informal gender empowerment research group to share insights from existing projects, events and ideas for future collaboration. Think about a possible special issue or book on “Gender empowerment, lessons to be learned” building on the discussions we had at the workshop, which would include theoretical, practical, and methodological aspects of these programmes. The workshop was organised by The Open University’s Dr Cristina Santos, Lecturer in Economics, and Dr Lorena Lombardozzi, Lecturer in Economics, and participants from the OU included the Faculty of Social Sciences (FASS), the International Development Office (IDO), Faculty of Business and Law (FBL), and Wellbeing, Education and Language Studies (WELS), and was funded by the Innovation, Knowledge and Development Research Centre (IKD). If you are interested in gender empowerment and would like to be a part of this group, please contact Dr Santos or Dr Lombardozzi.